Sri Lanka is slowly making a name for itself among travellers as a top budget destination and at the moment, is still relatively unspoiled by mass tourism. 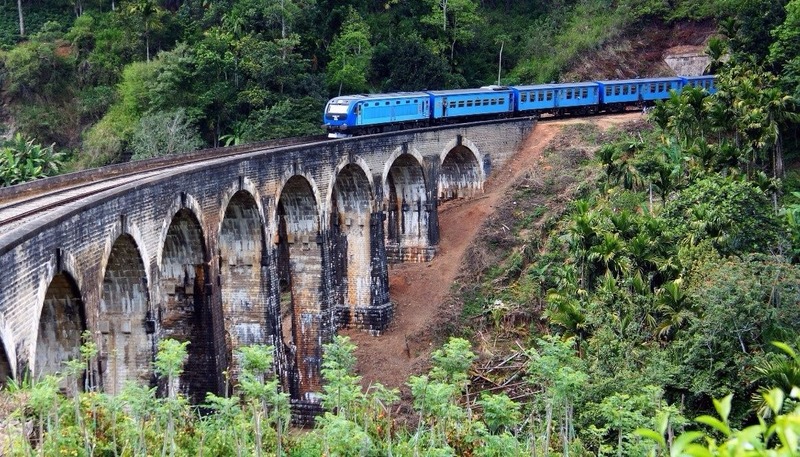 Although backpacking in Sri Lanka is already cheap by Western standards, there are ways to stretch your money even further, without reducing the quality of your experience, or sacrificing your your ethics. 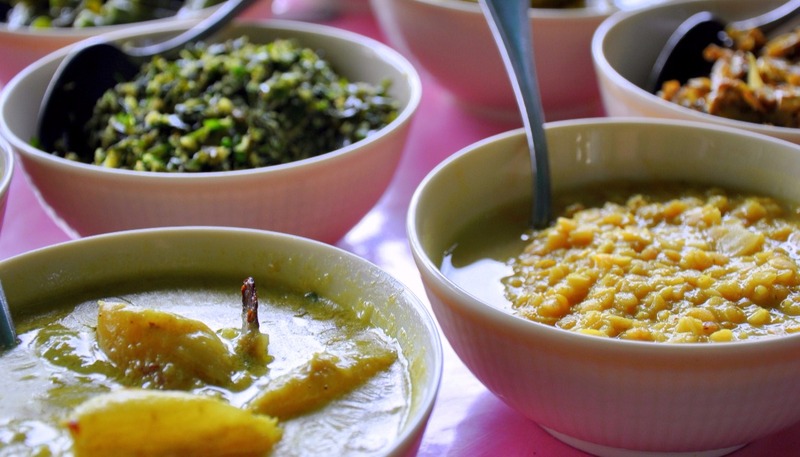 Sri Lankan food is as delicious as it is spicy. Eating at a local restaurant or ‘roti shop’ will likely cost you a quarter of what it might in a place serving Western food. A traditional rice and curry buffet with a selection of different vegetable curries should cost around $2 (Rs 300), and a plate of vegetable kottu (chopped pieces of roti, fried with egg and vegetables) roughly the same. Portions are usually mountainous; one plate of fried rice, noodles or kottu is often enough for two people. If you’re budgeting really hard, split the meal with a friend and halve the cost. Bulk it up with super spicy vegetable rotis (triangular parcels of flatbread stuffed with a spicy vegetable mixture) for only $0.30 (Rs 50) each. Sri Lanka does not have a big social drinking culture. Outside of Colombo, bars are noticeably lacking, many restaurants are not licensed to serve alcohol, and drinks are relatively expensive compared to other countries in Asia. One large beer at $2.60 (Rs 400) will set you back more than the cost of your dinner. To avoid enforced sobriety without blowing your budget, pick up beer or spirits from a local ‘wine store’; there’s one in almost every town. Here, a large (625 ml) bottle of local beer will cost around $1.90 (Rs 290) and returning your empty bottles reduces the cost of future purchases to around $1.60 (Rs 250). The cheapest spirit is the locally produced, and deceptively drinkable, Arrack. Try it with coke and a wedge of lime or neat over ice. If you are travelling outside of high season, arriving to a location without a room booked for the night can be a big money saver. Use a website like Booking.com to find your preferred choice of accommodation, but don’t make the reservation through the site. Accommodations pay a commission to the website for your reservation, so by turning up without one, you should be able to negotiate a lower rate. 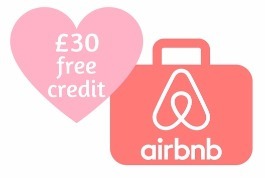 In some tourist hotspots you may even be met off the bus or train by local hotel owners with rooms to fill, and discounts on the advertised rates can be significant. It is also worth asking around or keeping your eyes open for homestays, as they are often not listed on any booking websites and tend to be some of the cheapest accommodation available. Travelling by bus is by far the cheapest way to get around. A four hour journey can be as little as $1.30 (Rs 200) and the well connected route network will take you almost anywhere you could wish to go. Rail travel is also cheap, but bear in mind that both buses and trains can get very crowded so are only suitable for travelling with a backpack or small suitcase. Pack light to avoid the need to use expensive taxis. Tuk tuks (three wheelers) are everywhere and cost less than a taxi, though drivers will often try their luck when offering their initial price. Don’t be afraid to haggle and if the fare is unreasonable, walk up the street a little and try another. They may even come after you and offer a more realistic price. Tourists undoubtedly pay a different price to locals, but even so, there will be a standard. Get an idea of the going rate from other tourists, or message your accommodation in advance to ask what the journey should cost. Be alert for scams. One to watch out for is arriving at the bus station and being wrongly informed by some unscrupulous taxi or tuk tuk drivers that there are no buses to your destination. They then conveniently offer to take you there for ten times the amount you would have paid on the bus. When arriving into Colombo Bandaranaike International Airport, you will be met by several (overpriced) taxi companies offering their services, plus more as you leave the airport. If your onward journey is short and you don’t have lots of luggage, leave the airport grounds and take a tuk tuk. If you do need a taxi, try to book one in advance via your accommodation, or cut the cost by arranging to share one using the Sri Lanka Taxi Share website. Drivers also post on this site when they are offering special rates on specific routes so it’s worth checking it before you travel. The mobile data network in Sri Lanka is surprisingly good. Avoid expensive roaming charges on your home network by taking an unlocked phone and buying a local sim card when you arrive. Sim cards can be purchased at the airport or in one of the many telecom shops and data is cheap; $2.90 (Rs 449) will buy you 6GB of data (split as 2GB day, 4GB night), valid for 30 days. I used Dialog. One of Sri Lanka’s most visited landmarks, the ancient city of Sigiriya is also one of its most expensive. With an entrance fee at $30 (Rs 4,500) per person, you could be forgiven for wondering whether to skip it. The answer to this lies in what you are looking for. If you enjoy ancient ruins, captivating frescos, and beautifully landscaped gardens, bear the pain and part with the cash. 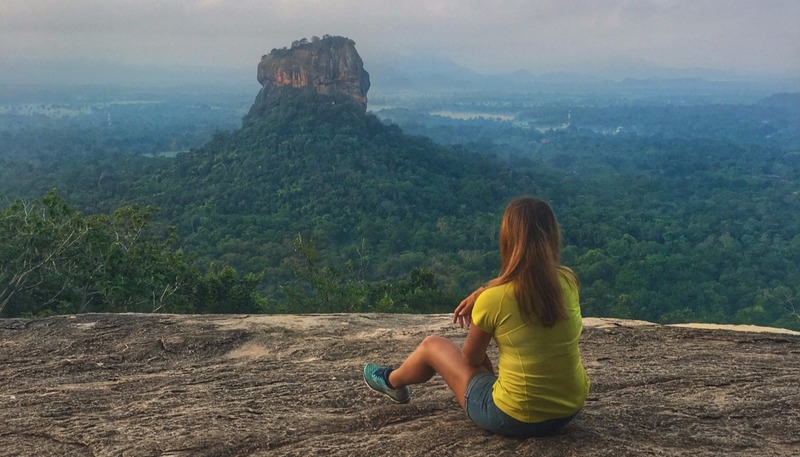 If, however, you are only scaling Sigiriya for the stunning panoramic jungle views, there is an alternative, and it is far cheaper. Lesser known Pidurangala Rock, lies approximately 2 kilometres away from Sigiriya. From its summit, you can take in the same spectacular jungle vistas, plus a view of Sigiriya itself in all its glory. The cost to enter Pidurangala is a far more budget friendly $3.30 (Rs 500) per person. Taking a tuk tuk to the bottom should cost around $3.30 (Rs 500) or you can walk from Sigiriya. Note that Pidurangala is a much more technical climb, so it’s only a suitable alternative if you have a decent level of fitness. Also, you will need to cover your shoulders and knees as the entrance is through the grounds of a temple. The view from Pidurangala is spectacular and far cheaper! 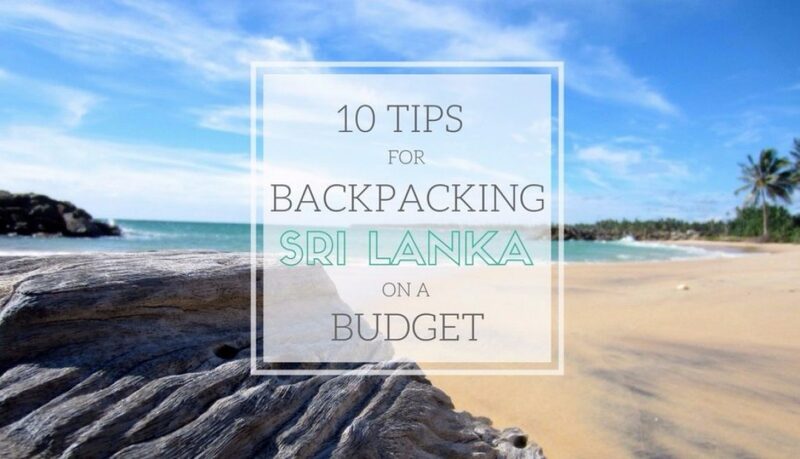 Have any of your own tips for backpacking Sri Lanka on a budget?